Mirriam is a part of the 2017 graduating class at Uhuru Academy. Her family is from Eldoret, and she lives with her mom, dad, and two sisters Margaret and Gladys. She wants to become a neurosurgeon because she wants to help people in Kenya (there are very few neurosurgeons). She likes to spend time by herself so she can understand her heart’s desires. Mirriam says she is very intuitive. At Uhuru Academy, she receives the education and conducive study environment that she needs. Education is the only way that she can achieve her goals or her career. 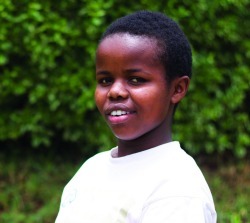 Click here to sponsor a student like Mirriam.